Take 2 capsules daily or as recommended by your healthcare professional. Nicotinamide riboside is a naturally occuring form of vitamin B3. It is safe for the body and does not pose the risk of the so-called niacin flush which occurs when you supplement with vitamin B3 in the form nicotinic acid. The supplement should be taken on an empty stomach. The dosage of 300 mg recommended by the manufacturer is optimal and allows you to enjoy the supplement’s benefits. Nonetheless, studies have shown that even higher doses are safe for the body. It must be used with caution only by patients with liver dysfunction. During long-term supplementation, it is recommended to control regularly levels of alanine transaminase (ALT) as a preventive measure. Niagen (nicotinamide riboside) is a derivative of vitamin B3, required for many many metabolic processes of NAD+ which is involved in many metabolic pathways of our body and is of utmost importance for its normal functioning. NAD+ has an impact on the function of mitochondria, namely cell organelles which are very active when doing sport. It regulates energy metabolism and is vital to normal functioning of the nervous system. 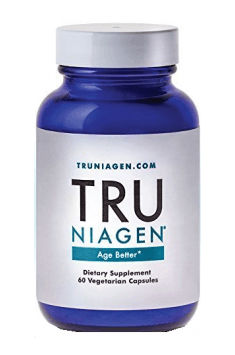 Since niagen helps increase directly NAD+ levels in the body, it contributes to the activation of more proteins – sirtuins which are essential to processes that affect the lifespan. Because of that, this compound may delay ageing of the body. SIRT proteins are also capable of repairing damaged DNA or regulating transcription. According to scientists, this compound may be used in the future to regenerate the body after radiotherapy and for neurological disorders (Alzheimer’s disease) and kidney and liver diseases.